Thank you to Just Powers team member Ariel Kroon for this guest post! When I first joined Just Powers in August 2017, I’d been living in co-op housing for just over four months. Inn Roads Housing Co-op is an independent (and very small) housing cooperative in Edmonton, located in the McCauley neighbourhood, adjacent to Little Italy and Chinatown. My job as a research assistant for the iDoc project meant that I was often looking up the details of area activist groups (such as Edmonton SHIFTLab) and Indigenous Climate Action, tracking energy transition projects going on in communities across Alberta, and checking out the bios of many City employees. That fall, I began volunteering with the Inn Roads Board, and soon found that my work and personal life began to collide: while researching for Just Powers, I came across the Solar Edmonton Society of Alberta, as well as plentiful information regarding the grants available to individual residences, commercial enterprises, and even non-profits (Check here for the full list – there are quite a few programs out there!). I raised the idea of applying for the provincial grant in order to put solar cells on the various houses in the co-op, which was met with enthusiasm. The electricity bills for Inn Roads are on the rise, a trend that seems to hold for households throughout Edmonton; also, considering that the house I live in is over 100 years old, and that other houses in the coop are of similar age, there are issues with heating in the winter that are getting worse as time goes on, no matter how many windows you caulk or sweaters you wear. I volunteered to do the research for the Board and found that housing co-ops may exist in a bit of a loophole, being neither single-family residences nor commercial enterprises. Luckily, NACHA – the Northern Alberta Coop Housing Association, of which Inn Roads is not actually a member – provided some helpful information and I was able to find out that each house in the co-op would be treated as a single-family residence, enabling us to apply for the grant for each separate house! 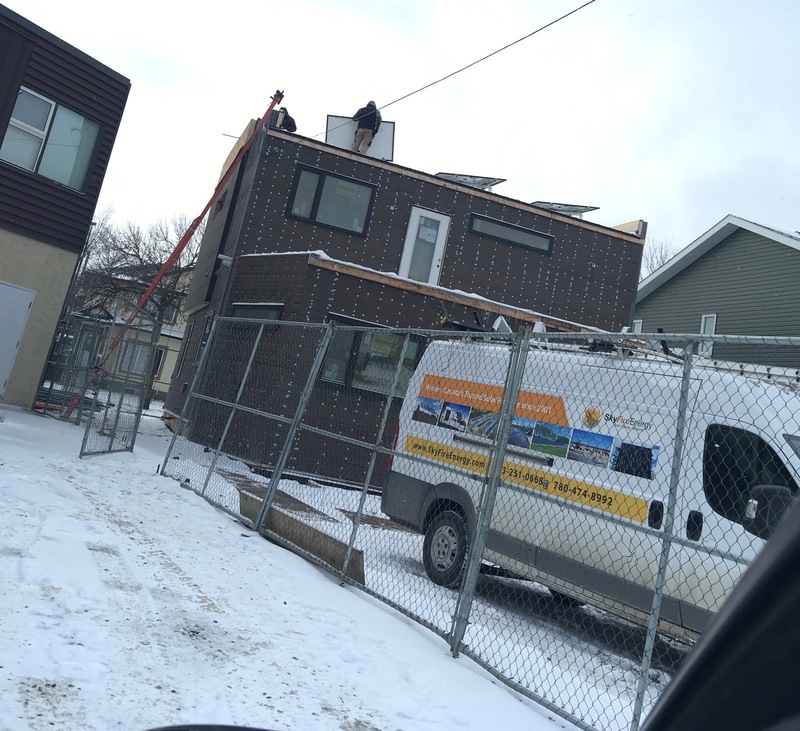 I wish I could tell you that we followed through, but last year was a rough maintenance year for Inn Roads and, despite the avenues of support for prospective solar PV system owners in Alberta (the grant has now actually increased in amount! ), it doesn’t seem like Inn Roads will be able to afford to get solar panels this fiscal year. There are multiple energy providers to choose from – not just Epcor! – many of them either renewable energy co-ops themselves, or a company providing electricity from renewable sources. This site is a great place to browse local Alberta providers, and Bullfrog Power has been in the game across Canada for a while now. Inn Roads’ energy transition journey has just begun, and I’m excited to continue it with the support of the City of Edmonton and the province of Alberta.